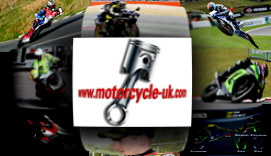 Motorcycle UK are the proud owners of Motorcycle Insurance UK and are looking fto speak with motorbike insurance companies for site sponsorship. Looking for a change in your daily commute? Find out more about the advantages of motorcycle commuting! The minimum level of insurance cover for a motorcycle which is required by law. Third Party Only covers your liability for death or injury to anyone else and/or their vehicle or property. It does NOT cover any damage to your vehicle. In addition to the cover provided by Third Party Only Cover insurance, this also pays you compensation if your vehicle is stolen or destroyed by fire. The widest ranging vehicle insurance cover. In addition to the above cover, this also covers your bike against any damage caused by an accident or someone else, whether you are at fault or not. Additional protection which can be purchased with your insurance policy. 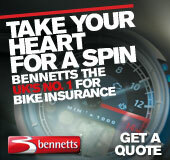 These can include a qualified mechanic coming to your assistance if your bike should breakdown. If your bike cannot be repaired by the side of the road, you may choose to have it couriered to your home. The amount of any claim which you agree to pay if your bike is lost, stolen or damaged, irrespective of who is at fault. You are entitled to seek recovery from the responsible person in the event of an accident which was not your fault. A discount offered as a ‘reward’ for you not making a claim on your insurance for a number of years. If you have a number of years no claims bonus, you may be able to pay an extra amount, so you may not necessarily lose your no claims bonus if you make a claim. The proof issued by the Insurer that your vehicle is insured, as required by law which you will need to show upon any re-taxation and if you are prosecuted for any road traffic offences. An optional extra insurance policy to run alongside most bike insurance policies which covers you for legal costs in recovering so-called 'uninsured losses'. These can include everything from leathers, helmet, vehicle hire costs and loss of earnings - if you are involved in an accident which isn't your fault. A Grey import is a vehicle designed and built for sale outside the EU, and imported into the UK. As such a vehicle was not originally intended for sale here, it may not be manufactured to European specification and may not have undergone European approval. Vehicles imported from abroad and sold within the UK which may have an exact same or parallel UK model equivalent. For bike insurance, the cost of replacing a bike with one of similar make, model and condition at the time of the loss or damage. The document which details what is covered and outlines the circumstances under which a claim will be paid and the conditions governing any payment. A policy is a contract which is binding on both the customer and the Insurer<. Almost all insurance Policies run for a year. At the end of this period, it usually can be continued ('renewed') or transferred to a different Insurer. Unlike in the car insurance market there are no standard insurance grouping for motorcycles. For many years the standard was the 17 motorcycle groups used by Norwich Union. However advancements in statistical interpretation and the advent of more powerful sports bikes has meant that rating groups have moved on. Many insurers now have up to 25 groups. This can be either an Insurer or a particular person working for the Insurer who decides whether or not to accept a Risk and the premium to be charged.